This recipe can be made free from: gluten, dairy/casein, soy, peanuts, tree nuts, eggs. 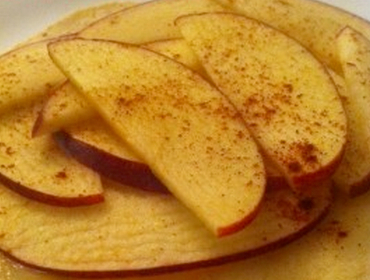 Place tortilla In a hot (lightly greased) skillet, top with cheese, then layer apple slices on top. Cook over medium heat until cheese begins to melt under the apple slices and the tortilla is sizzling. Use a large spatula to carefully transfer the pizza to a serving plate.